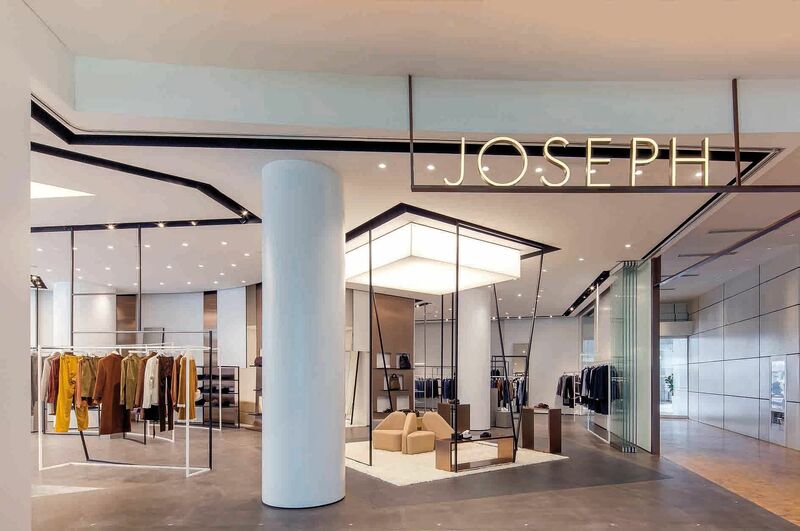 British luxury label Joseph has opened its first store here at Capitol Piazza. The brand is known for basic luxurious essentials in clean designs, such as silk shirts, slip dresses and tailored pants. The 350 sq m store carries the complete range of women's and men's ready-to-wear and accessories, as well as a selection of shoes from brands including Isabel Marant, Jil Sander and Chloe. Womenswear ranges from $155 for a camisole to $3,300 for a sheepskin coat, and menswear from $140 for a T-shirt to $2,355 for a biker leather jacket. The brand was started by the late fashion icon Joseph Ettedgui in 1979, a former hairdresser who opened a multi-label store in London to champion then up-and-coming brands such as Kenzo, Alaia and Yohji Yamamoto. He launched his eponymous label in the early 1980s. The company is now owned by Japanese fashion company Onward Kashiyama and the Joseph label is under the creative direction of Louise Trotter, who has worked with Calvin Klein, Tommy Hilfiger, and British high-street label Jigsaw. Danish jewellery brand Pandora, famous for its signature rounded charms, has released a special Disney collection. The collection, launched on Nov 5, features iconic characters such as Mickey Mouse and Minnie Mouse, as well as Elsa from the 2013 hit animated film, Frozen. Highlights of the collection include a limited-edition sparkling Mickey silver charm with cubic zirconia, black crystals and enamel ($159), and a silver charm of Elsa's crown with blue cubic zirconia ($106). Available at all Pandora stores. VivoCity has launched a new Beauty Aisle featuring standalone stores for Chanel, Shu Uemura, Yves Saint Laurent and cult favourite Urban Decay. The VivoCity store is Urban Decay's first flagship boutique in Asia. To celebrate the opening of the Beauty Aisle, the mall is rolling out activities and promotions this month. Shoppers can enjoy mini-makeovers this and next weekend from noon to 8pm. Just pop by the makeover booth at Level 1, North Court. Nov 22, in which people with the most likes can win $100 vouchers from Mapletree, which manages the mall, and beauty hampers worth more than $750 each. From now till Nov 30, the first 500 shoppers who spend a minimum of $200 in a single receipt at any participating beauty tenant can redeem $20 Mapletree vouchers.